Rebecca Grace Allen — Totally gnarly: ’90s PLAYLIST is available now! Home/ Totally gnarly: ’90s PLAYLIST is available now! Totally gnarly: ’90s PLAYLIST is available now! …and voila: Rory Stone was born. 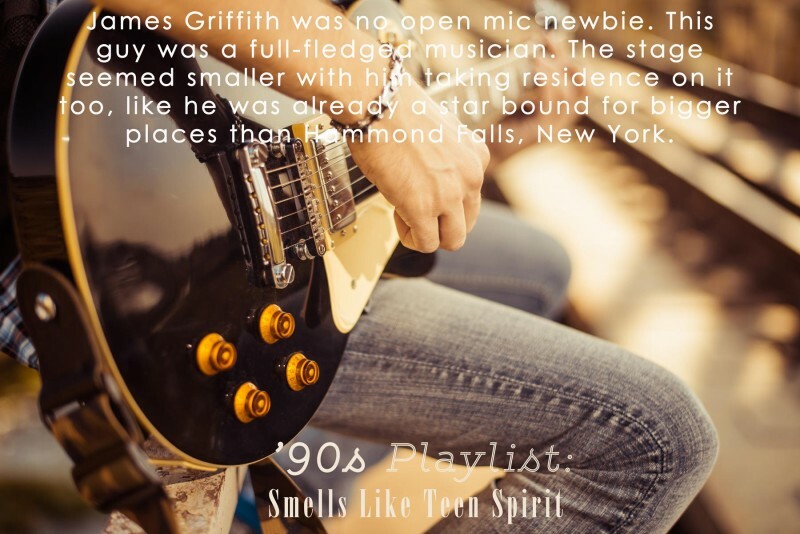 She’s a hard-as-nails heroine with a soft spot for grunge and poetry, and meeting indie singer James Griffith tests her mettle in ways Rory never imagined. Want to know more about James? The lovely Karen Booth interviewed him for one of her super fun Rock and Roll High School interviews. There’s five other fabulous stories in this anthology too, written by Brighton Walsh, Amy Jo Cousins, Audra North, Jennifer Blackwood and Lorelie Brown. And the best part? It’s only $0.99! So grab your totally awesome copy today!